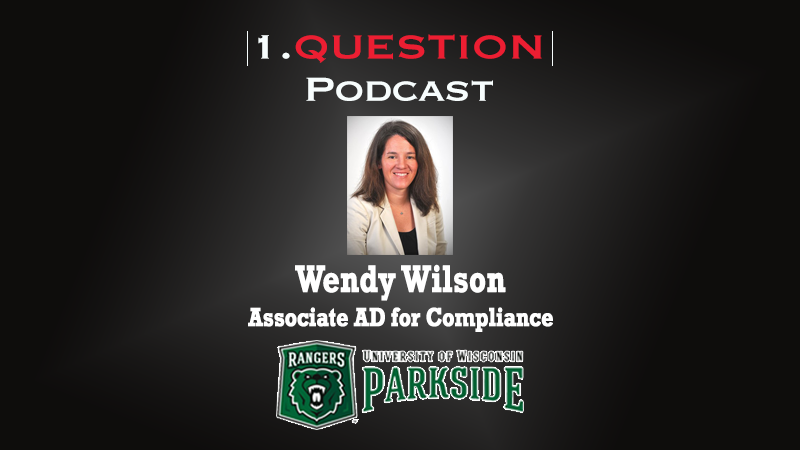 Wendy Wilson, Associate AD for Compliance & Student-Athlete Welfare at University of Wisconsin-Parkside, visits the 1.Question Podcast to discuss educating new coaches, students, and staff about compliance. Working through a 75% turnover within the athletics staff, Wilson details her process of continual education which helps onboard those new to the department. A self-proclaimed compliance nerd, she also talks about her love for learning which helps to keep her in tune with what is going on in the athletics industry.